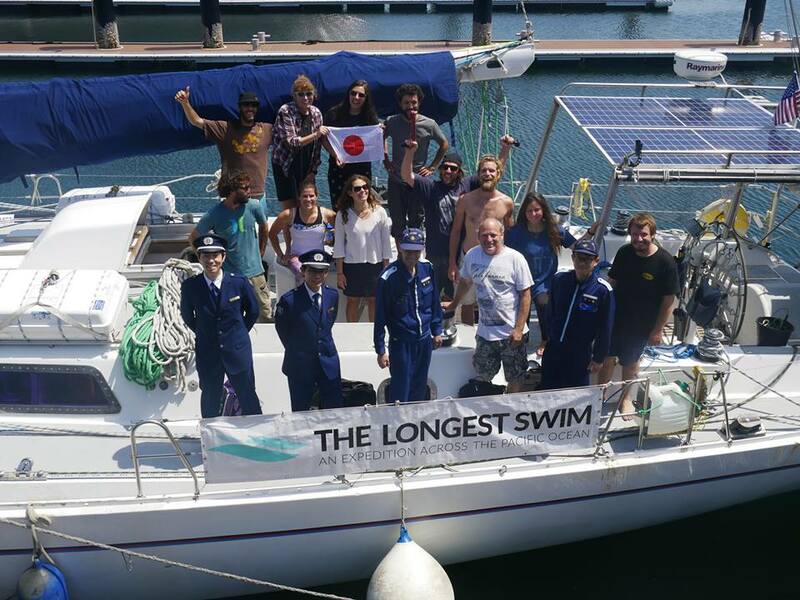 As Japan appeared on the horizon everyone on board of Disco felt a mix of exhilaration and pride, they had just finished the Pacific crossing and were one step closer for the departure for the project. 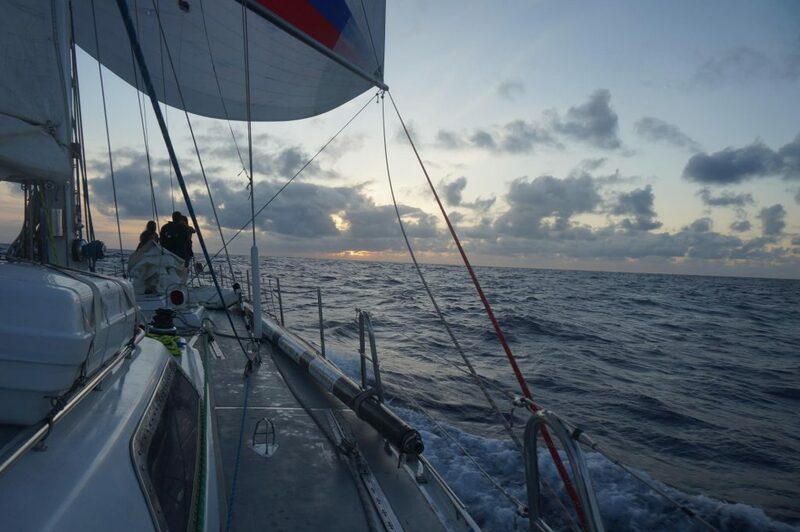 After a quick stopover in Hawaii, they were back at sea with sights set on Japan. From Hawaii the crew grew more settled as they became accustomed to sailing as a team, living at sea and Disco’s nuts and bolts. On May 14th Disco sailed her way into Japanese waters as the crew piled out onto dry land and their home for the next week. But they won’t get much of a taste of the country, with their hard work continuing on land. Final preparations got quickly underway to organize the boat for potentially eight months at sea. In true Longest Swim style, they’re racing against the clock with a week window to complete everything. 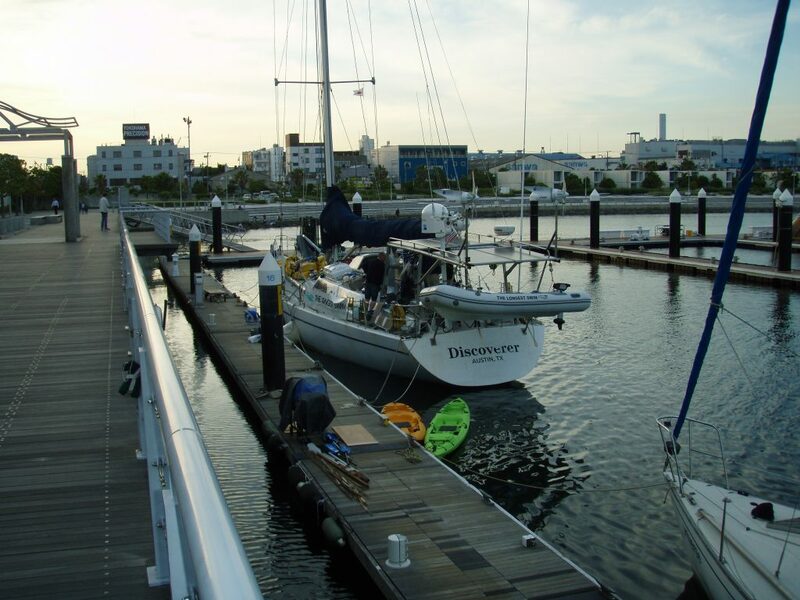 The handymen of the boat are currently busy with the final touches and repairing the small damages unavoidable from the Pacific Ocean, ensuring the boats equipped with everything needed to make the journey as safe and pleasurable as possible. 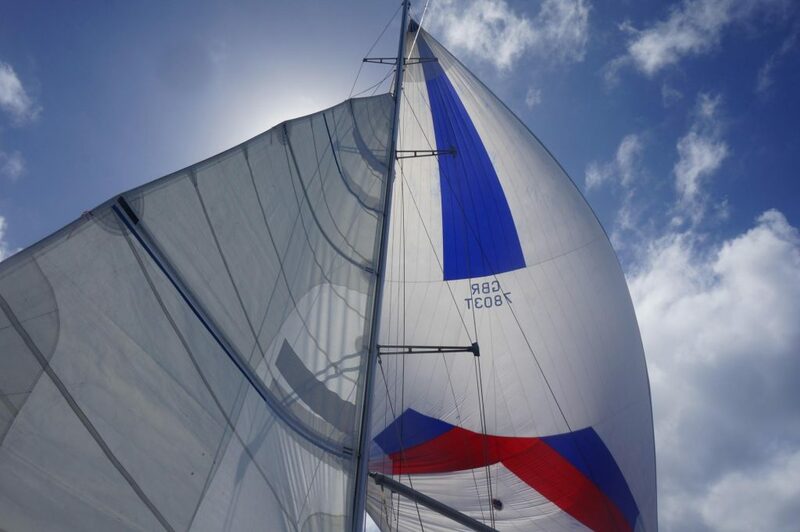 Installing sails, working on the engine and tightening all the nuts and bolts. While others are busy preparing food, cleaning, making lists, safety procedures, budgets, buying equipment and science supplies for the exhibition. Excitement is buzzing through the air with everyone focused on jobs to complete the final tasks to prepare for the adventure ahead. 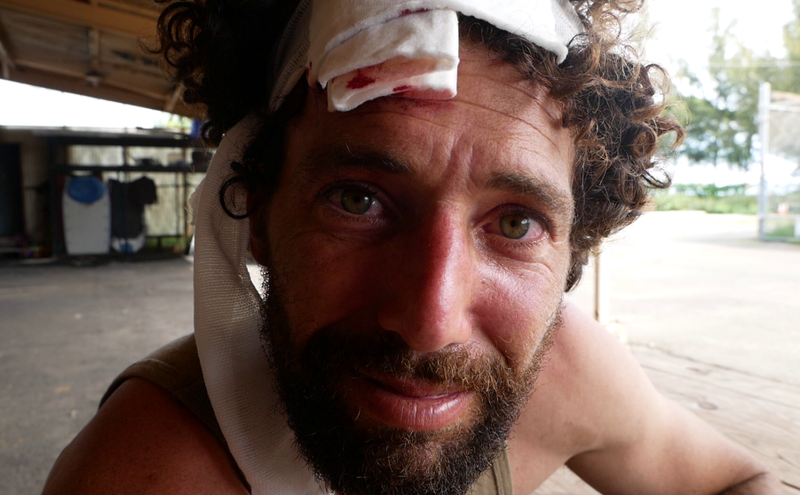 We’re sad to be saying goodbye to some good sailors, who, for various reasons, won’t be accompanied Ben and Disco on the swim. The crew has been cut back to nine on board, including two medics, two scientists, and experienced sailors. Yoav will be taking up the position of skipper as we wish Melissa luck on her next endeavor, and thank her for the hard work she did in preparation and the delivery. The countdown is on until Ben and his crew embarks on their exciting adventure.